Professional commencement photography is only possible when training to high standards is coupled with integrity of purpose. In addition to rigorous event photographic training, Lifetouch requires its photographers to pass background checks and other government-mandated testing to support a safer environment at schools across the country. Lifetouch Special Events does not photograph weddings or senior portraits. We specialize in commencement photography and are committed to serving this area with excellence. 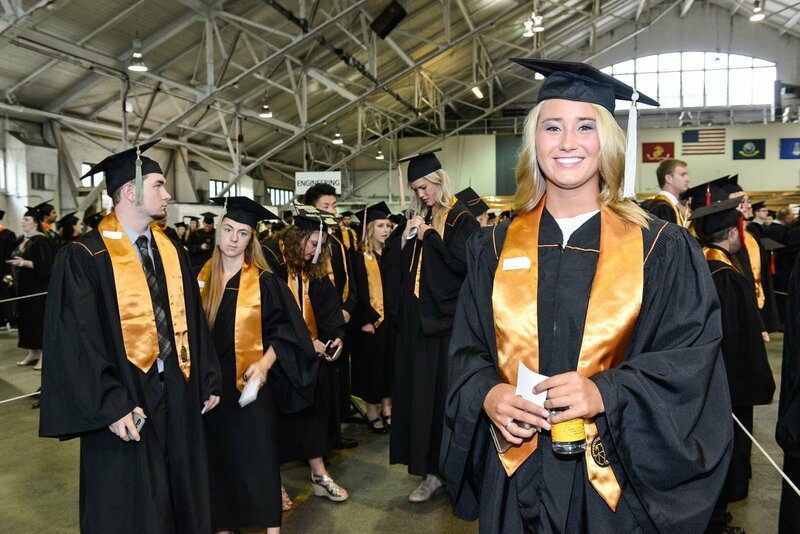 As such, Lifetouch knows what the consequences are when a commencement photographer is poorly prepared, uses unskilled contract technicians, or is unable to adequately service the end customer. Furthermore, photographers inexperienced with commencement ceremonies will be at a disadvantage in ensuring that all graduates receive their correct photographs. Poor performance, conduct, or appearance can also distract from the dignity of commencement by slowing down the flow of the ceremony, obstructing views, or distracting the audience. These potential pitfalls translate into customer service problems for any college or university. On top of the experiential learning offered on the job, Lifetouch holds numerous regional classroom training sessions for our photographers. These training sessions take place all across the country and focus on three especially important areas: (1) technical expertise, (2) internal communication, and (3) serving your institution to the best of our ability. As the industry changes, photographer training is constantly updated. As such, each photographer to undergo training one year is re-trained the next. The result? Our photographers can walk into any given event on the same page. Rather than functioning as individuals whose jobs are solely to take pictures, they effectively work together as a team. At Lifetouch, we ensure that your assigned photographers are confident and prepared to make your commencement run smoothly. First and foremost, our training sessions introduce photographers to the technical requirements of taking a graduation photo. This starts with mastering all of the practices and procedures that go into successfully capturing the graduate image, the photo from which we draw our revenue. From there we shift to the activities of a PR photographer, whom we trust to capture all of the candid ceremony photos to be provided to our clients free of charge following the ceremony. As every institution knows, effective communication is important to any smooth-running organization and Lifetouch is no exception. That is why we dedicate a significant portion of both our regional and national training sessions to enhancing internal communication and making our processes as seamless as possible. The challenges we encounter as a company are no different than those that you might run into within your own institution. Lifetouch Special Events is not just an outside vendor. We train to be part of the commencement team at your school. A good portion of photographer training revolves around sharing the best practices and experiences, including obstacles and how to get around those. Rather than just technical training, it is event training that draws upon what other schools are doing - which, quite often, is passed on to other coordinators at other facilities. In short, we resolve field issues with group input. Our goal is to help every commencement coordinator receive accolades from their superiors the Monday following the event. Lifetouch services schools across North America with numerous types of photography: yearbook portraits, sporting events, marching band photos, as well as commencements. In many cases, photographing commencements requires technicians to switch gears. That’s why we reinforce our regional classroom training sessions with on-the-job training. We pair our newer team members with seasoned staff to ensure that they know exactly how commencement photography differs from that which they have practiced previously. We understand that your ceremony is unique from all others. Our leads are trained to be flexible and to observe such defining characteristics for what they are, rather than treating them as obstacles or inconveniences. Prior to your ceremony, our team leader will conduct a “walk-through” with your school’s commencement coordinator. Doing so gives our lead photographer an idea of what to expect during your school’s event, enabling them to better prepare their team for your ceremony. The walk-through also serves as a fantastic opportunity for our lead to establish a relationship with you, ensure that we receive all necessary information, and figure out what else we can do to make your ceremony a success. Twice a year, Lifetouch holds a national training event for our more prominent leads, getting everyone into one location all at once. These team members are those whom we can expect to turn around and train other leads as well as entry-level photographers. Therefore, these two training sessions focus almost exclusively on leadership within the field. As we expand, leadership training becomes a means of ensuring stability. In the long run, it fuels the progress and effectiveness of our other forms of training, allowing us to staff hundreds of events with exceptionally competent, highly-trained commencement photographers.